Steven Reiss earned an A.B. degree from Dartmouth College in 1964 and was one of 16 members of his class elected Senior Fellow. He earned a Ph.D. degree from Yale University in 1972 studying clinical psychology. In 1985, he and Richard McNally co-developed the construct of anxiety sensitivity. According to PsychInfo, more than 550 peer reviewed articles have been published on anxiety sensitivity. Translated into 24 languages, Reiss's "Anxiety Sensitivity Index" (ASI) is used to assess anxiety disorders in many thousands of patients every year. The military is studying the ASI to identify soldiers who may panic under conditions of combat. Dr. Reiss has published extensively on the mental health aspects of mental retardation. This work demonstrated diagnostic overshadowing, which was cited in hundreds of successful proposals throughout the world to fund psychiatric and mental health services for people with mental retardation and mental illness. The Reiss Screen psychometric instrument is used to screen for mental health needs for people with mental retardation. 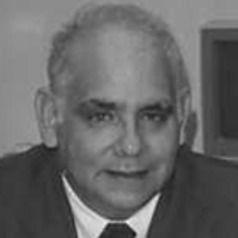 Dr. Reiss's work on mental retardation has been recognized with four national awards including the Distinguished Research Award of the Arc of the United States, at the time the largest disabilities organization in the world, the American Association of Mental Retardation Distinguished Research Award, the American Association on Mental Retardation Distinguished Services Award, and the NADD's Frank Menolascino Award. Professor Reiss has given numerous invited addresses including the National Institutes of Health, the U.S. Department of Justice civil rights division, and the World Psychiatry Association. Both the American Psychiatric Association and the American Psychological Association has recognized Dr. Reiss's efforts to set consensus standards for medication care for people with MR/DD. Dr. Reiss is currently studying the access of people with disabilities to life saving organ transplantation operations. Since 1991, Dr. Reiss has served as Director of the Nisonger Center for Mental Retardation and Developmental Disabilities. Dr. Reiss's current research is the multifaceted nature of intrinsic motivation. This work is identifying general principles of motivated behavior in a wide variety of circumstances. The work has been reported in scores of newspapers of record throughout the world.